Buy New Panasonic DMC-GF8K Mirrorless Digital Camera 12-32mm f3.5-5.6 ASPH / Mega OIS (Orange) Free 8GB & Panasonic Case At Best Price at FotoZZoom! 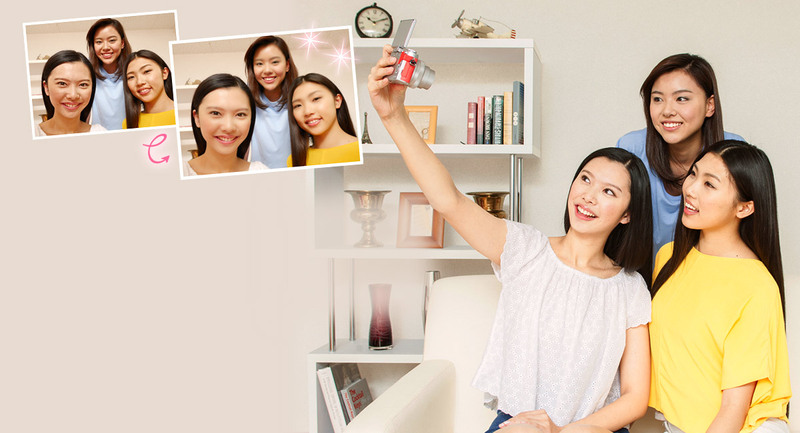 Add Beauty To Your Selfie! The cool color and design match my fashion perfectly! And selfies are so simple. Just flip up the monitor and the camera sets the effects. Then use Beauty Retouch after shooting to make yourself even cuter. And once you're finished, you can upload it to social media and share it with your friends. What a neat camera! I take mine everywhere I go. As soon as you flip up the monitor 180º, the selfie time begins. Use the Soft Skin mode for smoother skin, Defocusing to soften the area around the face, and Slimming for a fitter, trimmer look. In combination with the Creative Control filter, the result is more attractive, more distinctive selfies. 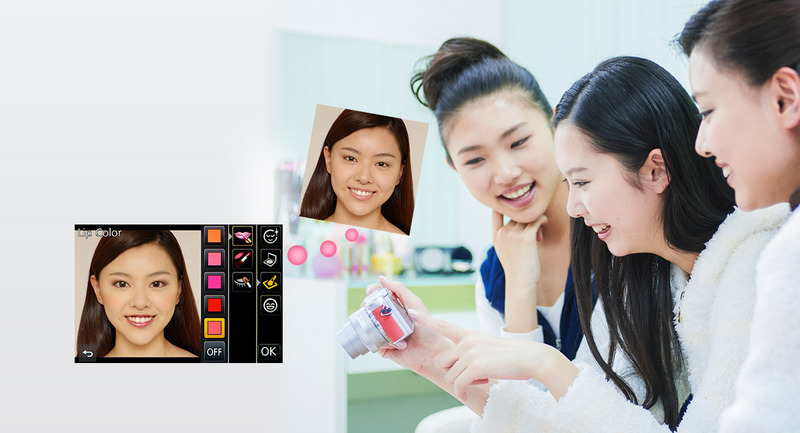 Enjoy applying virtual make-up to the face after shooting. Aesthetic Retouch applies various effects to the face, including clearing the skin texture, lifting up the face, whitening the teeth, and so on. Make-up Retouch offers various colors for foundation, lips, cheeks or eye-shadow. 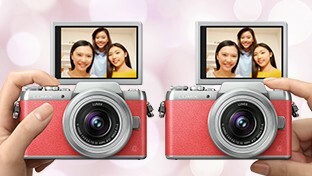 The LUMIX GF8 lets you release the shutter with your left or right hand, or even ‘hands-free’. This brings you to the next level of selfie expression. Take pictures when faces are in close proximity or when your face is once covered with a waving hand. Or release the shutter by simply jumping in mid air.